Simpkins Award and was reissued with a new introduction and epilogue in 1993, and co-author of Like a Family: The Making of a Southern Cotton Mill World (1987), which received the Beveridge and Merle Curti Awards. Hall received a Guggenheim Fellowship for the completion of her forthcoming book, tentatively entitled Writing Memory: Katharine Du Pre Lumpkin and the Refashioning of Southern Identity, to be published by W.W. Norton. She is also working on a book about women in the urban South. In 1997, Hall won a Distinguished Teaching Award for graduate teaching. In 1999, she received the National Humanities Medal from the President of the United States. Like a Family: The Making of a Southern Cotton Mill World (Chapel Hill: University of North Carolina Press, 2000) (second edn. with new afterword by authors). Co-authors James Leloudis, Robert Korstad, Mary Murphy, LuAnn Jones, and Christopher B. Daly. Revolt Against Chivalry: Jessie Daniel Ames and the Women's Campaign Against Lynching (Columbia University Press, 1979; paperback, 1983; revised edition, 1993). "You Must Remember This: Autobiography as Social Critique," Journal of American History 85, September 1998. "Open Secrets: Memory, Imagination, and the Refashioning of Southern Identity," American Quarterly 50, March 1998. Reprinted in Unequal Sisters: A Multicultural Reader, ed. Ellen Dubois and Vicki Ruiz (Routledge, third edition forthcoming). "Cotton Mill People: Work, Community and Protest in the Textile South, 1880-1940," American Historical Review 91, April 1986; co-authored with Robert Korstad and James Leloudis. Reprinted in Major Problems in the Gilded Age and the Progressive Era, ed. Leon Fink (1992), and Major Problems in the History of the American South, ed. Paul D. Escott and David R. Goldfield (1990). "Disorderly Women: Gender and Labor Militancy in the Appalachian South," Journal of American History 73, September 1986. Reprinted in Women's America: Refocusing the Past, ed. Linda K. Kerber and Jane DeHart Mathews (1982, 1987, 1991, 1995); Unequal Sisters: A Multicultural Reader, ed. Ellen Dubois and Vicki Ruiz (1990, 1994); Gender in American History from 1890, ed. 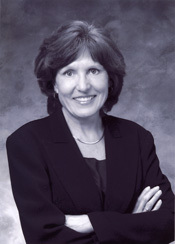 Barbara Melosh (1993); Half Sisters of History: Southern Women and the American Past, ed. Catherine Clinton (1994); The Helicon Nine Reader: A Celebration of Women in the Arts, the Best of Ten Years, ed. Gloria Vando Hickok (1990); and Major Problems in American Women's History, ed. Mary Beth Norton and Ruth M. Alexander (1996). "Writing Memory: Katharine Du Pre Lumpkin and the Remaking of Southern Identity," Plenary Address, Citadel Conference on the South, Charleston, S.C., April 7, 2000. Appearance on UNC-TV's "North Carolina People," discussing the Southern Oral History Program's 25th Anniversary and the National Humanities Medal, November 15, 1999. Interview on local edition of "All Things Considered," WUNC Radio, April 8, 1999. Appearance on UNC-TV's "North Carolina Now," discussing the Southern Oral History Program's "Listening for a Change" project, June 29, 1998. Interview with Leda Hartman, "The Southern Oral History Program: Listening for a Change," WUNC Radio, June 29, 1998. Panelist, "Retrospective on Like a Family: The Making of a Southern Cotton Mill World," Southern Labor Studies Conference, Williamsburg, Va., September 26, 1997.